Minutes of the 10th Annual General Meeting of Cats9lives held at the Good Stuff Café, Garsfontein Rd on Saturday 9th July 2016 at 12h30. 1. Welcome: welcomed Lorraine, Michka, Liezel, Helga, Lara and Lynn. 2. Apologies: Engela, Mariette and Amanda. 3. Minutes of the previous AGM: taken as read. This is a special year for Cats9lives as we have been in existence for 10 years as a NPO. It has been a difficult year financially for us as due to the number of kittens taken into the system our finances have been stretched to the maximum. Veterinary fees have gone up and the cost of sterilizing the adult cats not yet homed has been tremendous. We are most grateful to the regular donors as without this injection of money we could not continue. I feel that we must curtail our numbers to about 20 for Michka, and about 6 for myself and Lynn - that way we can keep our heads above water financially. It is difficult to refuse kittens but we will have to do so. We have homed 263 kittens in this year and Michka still has over 40 to go and some adults. Once again my grateful thanks to my wonderful committee who are always ready with support and encouragement everyone doing whatever they can – I must mention and thank a few individually- Lynn for her very efficient taking of the minutes, always obliging and thanks to the good relationship which she has established with the public she has been given donations which are being used to help people who would otherwise not be able to sterilize their kittens. She has become an expert trapper- trapping and sterilizing feral colonies in the Pretoria surrounds leading to good will towards Cats9lives. Michka has taken over most of the kittens bottle feeding and caring for them and turning out well adjusted and happy kittens. We wish her good luck and and success in her newly established cat hotel. Liezel for balancing our books and doing so good a job that our accountant has little to do. There is little else to say except my thanks once again to our committee and may we go from strength to strength. 5. Kitten Report: Michka has 44 kittens still to be homed. 6. Report on Ferals: No report, but Engela has trapped about 200 cats at Stone Cradle that burnt down. They have been tested for feline AIDS and leukaemia and the healthy cats have been sterilised and moved to a plot where they are being cared for. 7. Finances: Looking a bit better but Liezel requested us to try to keep vet bills in check. 8. Open Day: 26th November. Liezel’s friend Elizabeth has kindly offered to help . Lara has a laser cutter and she will make items such as placemats to sell. Would like to hold the Open Day again at Waterkloof Vet as it seems to work well there. We would like to have the White Elephant stall, Home Made items and the Tea Table. 9. Election of Office Bearers: to stay the same. 10. General: Lara suggested making wooden boxes with cats cut with her laser cutter. They can be put up at vets to collect donations or with request for donations to be paid into our vet accounts. 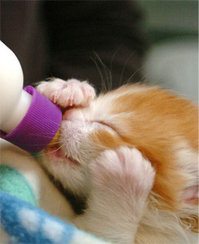 If a kitten gets adopted through one vet, the kitten should be taken to the same vet to be sterilised. Monument Park Vet ,however, is prepared to credit Cats9lives if the adoption package is paid and vaccinations done there, but kitten gets sterilised elsewhere. Many thanks to for all she does for Cats 9lives .Please collect jumble for 30th August Jumble Sale. Reason for the "meow" can vary. Cats can call out to indicate pain, request human attention (to be fed or played with, for example), or even as a greeting. Cats can be very vocal, yet others rarely call out. Cats are capable of as many as 100 different vocalizations, compared to about 10 for dogs.